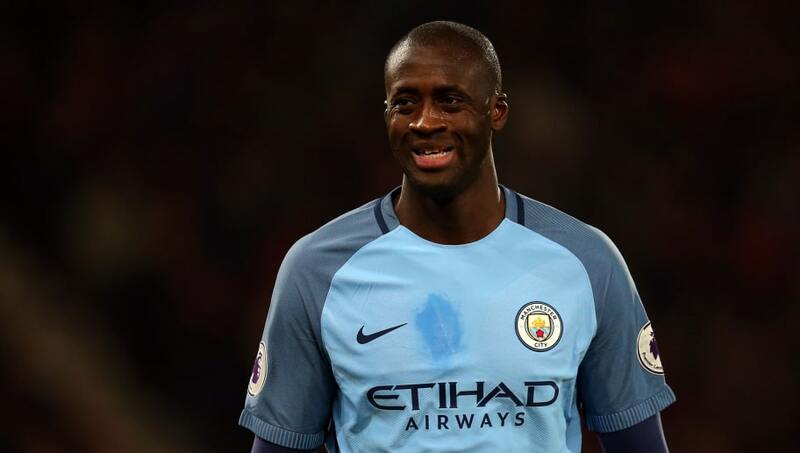 Sky Sports' coverage of Monday Night Football was made all the more special this week by the guest appearance of Manchester City and Premier League legend Yaya Toure. And all was going well for the Ivorian on his debut appearance... right up until he revealed what could be one of the most bizarre ultimate XIs in history, with a formation that would even rival some of Garth Crooks more outlandish teams of the week. ​During a conversation with Jamie Carragher and Sky Sports presenter David Jones, the former ​City and ​Barcelona man laid out his side of former teammates in all its glory - but both presenters seemed to agree that it wasn't exactly conventional. Here are six of the biggest talking points from Toure's gloriously attack-minded ultimate XI. The most immediate thing that springs to mind when you cast your eyes on the team for the first time is the, shall we say, unique formation. Toure's side lines up with what appears to be a 3-1-6 shape, so it is fair to say that defensive solidity is not the aim of the game. But, if you were ever looking for a side that will provide plenty of entertainment then look no further. Yaya is simply giving the people what they want. Andres Iniesta was somewhat versatile, sure. He could play in a midfield three or occasionally out on the left flank for Barcelona and, in his prime, he was equally capable of doing both to the highest standard. However, what he wasn't known for was being able to anchor an entire midfield by himself, Fernandinho style. Toure's only justification for the selection was "He's the only midfielder we have in there." Imagine iniesta trying to contain City/Liverpool's counter all by himself on the center of the pitch. poor lad. The imbalance in the side stems from the fact that Toure has made the bold decision to squeeze in five strikers into his side. ​Sergio Aguero, Didier Drogba, Thierry Henry, Samuel Eto'o and ​Lionel Messi all feature, which suggests that Toure was doing his upmost not to upset anyone. He couldn't find a space for his Olympiakos teammate Ahmed Hassan though. According to Toure, Rafael Marquez was "Ten times better than ​Gerard Pique". Marquez was good, sure. But was he really better than the man who has played at the heart of the Barcelona defence for the past ten years? Apparently Yaya Toure said Rafa Marquez was 'ten times better' than Piqué. What an idiot. Better with the ball sure, but not even half as good defensively. As omissions go, this one is probably the most glaring. Somehow, Toure managed to miss off Xavi from the list, who was by far the most technically gifted midfielder he ever got the chance to play with during his career. Then again, he did already say that there was only room for one midfielder, so it must have been a toss up between Xavi and Iniesta. ​However, he did offer up some hopes of a reunion with his brother​ when he refused to deny a potential move to Brendan Rodgers' Celtic.